Pietro is a true original with a special eye who sees things from a singular point of view and his work and passion speak to the Moleskine core: art and travel. Pietro Cataudella’s art conveys all the fun and immediacy of pop-up books that so many of us loved as kids, but with a decidedly sophisticated edge. 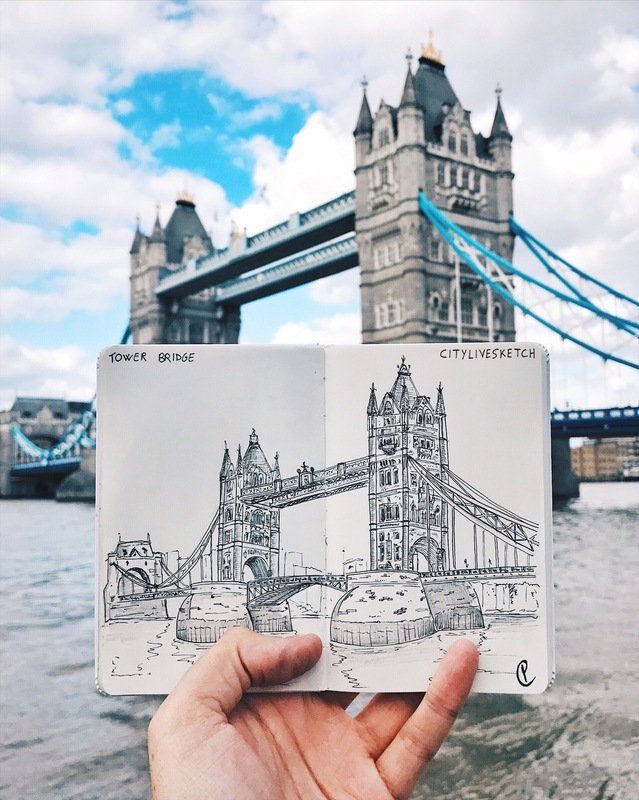 Witty, smart and beautifully rendered, his work, which combines graphic art and photography shows us some of the world’s most memorable and striking landmarks from a whole new and utterly original perspective. In 2014 he started sharing his pieces on Instagram and CityLiveSketch, unsurprisingly has garnered a following of over 68,000 aficionados of his unique work. 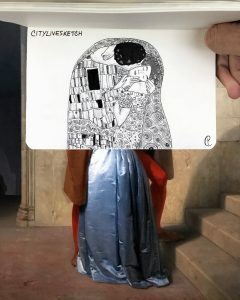 Over the years has also posted his artwork to the MyMoleskine community where it is greeted with continued enthusiasm. Moleskine has therefore invited this talented artist and full-time university student to a special event to celebrate his artistry and imagination at the Moleskine store in Gae Aulenti in Milan. 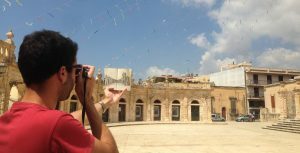 The quintessential artist, Pietro is entirely self-taught and guided by his passions; he has never taken an art class or a course in architecture yet his sketches are almost photographically realistic while being suffused with a charm that only hand drawn art can convey. 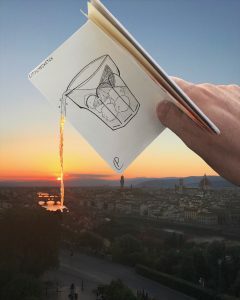 Inspired by the architectural marvels of his native Italy and beyond, Pietro combines his passion for travel, photography and sketching and his depictions of landmarks meld extraordinarily accurate architectural detail with a playfulness born of his unusual imagination and the juxtaposition between reality and art. He transforms 2D renderings into powerful and engaging 3D images, creating a sense of hyper reality infused with a distinct sense of the fantastic. 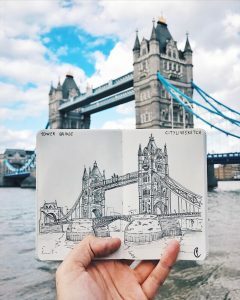 For example he transformed the Leaning Tower of Pisa into the Leaning Lighthouse of Pisa and most recently his focus is on creating pieces where his drawings come out of his sketchpad gradually blending into the reality around them, like Spiderman perched atop of Tower Bridge in London. Please click the following link to see a selection of Pietro’s one of a kind creations.